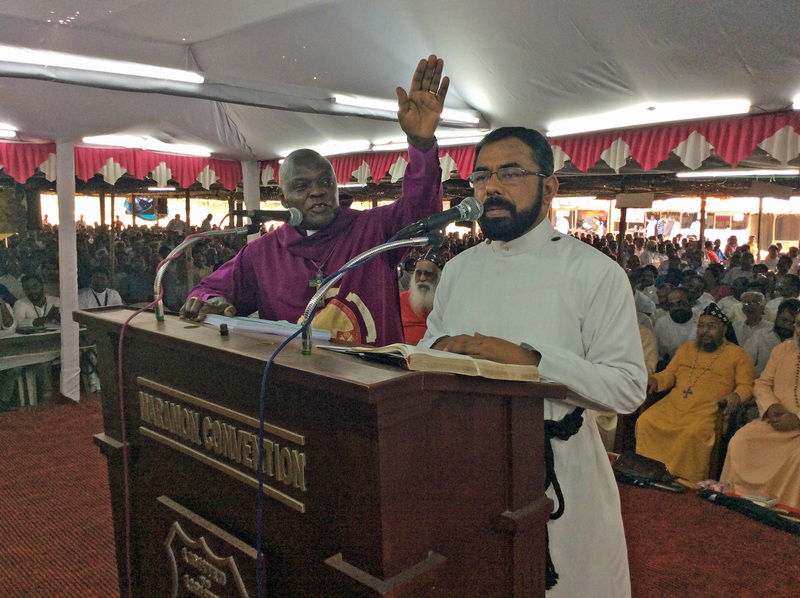 The Archbishop of York, Dr John Sentamu is visiting Kerala in South India to attend the annual Mar Thoma Syrian Church Convention, which runs from 10 to 17 February 2019. Begun in the 19th Century, this is the 124th Convention to be held and up to 150,000 people are expected to attend. The Archbishop was invited to attend the ecumenical conference to deliver a series of addresses, sermons and four Bible Studies and will be attending and participating in the convention throughout the week. The convention is attended by Christians from across India and from different denominations. You can watch a video of some of the events from Day 1 of the Convention by visiting YouTube. The Archbishop gives an address from 25.41 minutes in.